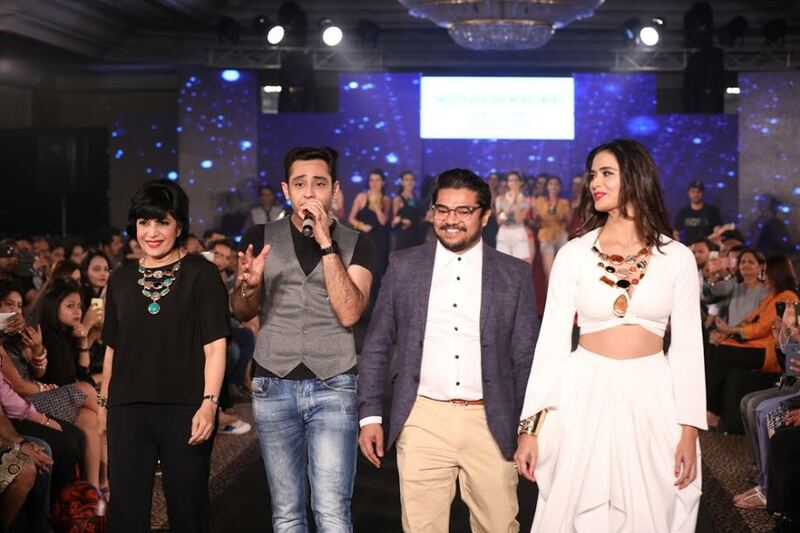 The first edition of India Intimate Fashion Week witnessed a spectacular evening amid much glitz and glamour at hotel Leela in Mumbai on March 18th. The most awaited and India first fashion extravaganza of the year, IIFW turned out to be a grand affair with the super models turning up the heat and setting the ramp on fire. 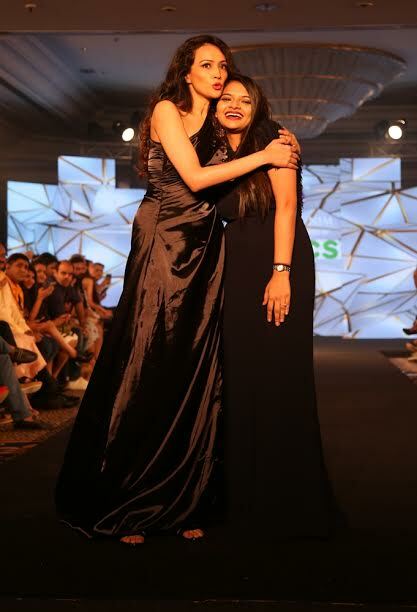 The glamour quotient of the show was raised by electrifying ramp walk by Bollywood actress Manjari Fadnis, Dipannita Sharma and Minakshi Dixit who walked the ramp as showstoppers for designers Karishma Jumani, Nidhi Munim and Mona Shroff respectively. Showcasing the prêt collections of India’s leading Lingerie and Resort wear designers like Nidhi Munnim, Karishma Jumani, Keith Jackson, Rajiv Mehta and jewellery designer Mona Shroff etc. 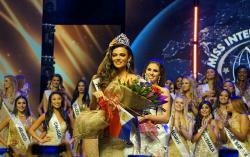 the alluring event concluded on a mesmerising high. The first edition of India Intimate Fashion Week was kickstarted by Sanghai based Fashion Designer of Indian Origin, Keith Jackson who showcased his intimate wear and evening / cocktail gown designs collection under his brand ‘La Joli’. Miss Manipur 2016 Phapha Cara Ge Gachui walked the ramp as showstopper for his fascinating collection . This was followed by a stellar showcase by ‘La Intimo’, a brand that specializes in intimate clothing. La Intimo showcased an elegant collection of undergarments which included both men and women’s wear, showcasing the finest intimate apparel of all shapes and sizes. 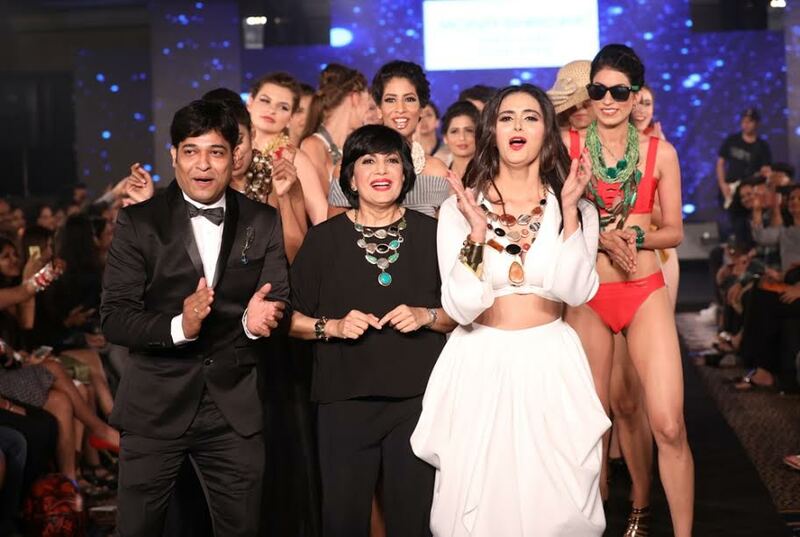 IIFW upped the glam quotient with the showcase of a ravishing jewellery line by internationally acclaimed jewellery designer Mona Shroff who brought her fine line of jewellery during the show. Mona mesmerised the show when the stunning models sashayed down the ramp wearing her exquisite jewellery collections along with clothing line of Internationally recognised fashion designer Rajiv Mehta and dancing on the tune of Sa Re Ga Ma Pa winner Sandeep Batra. 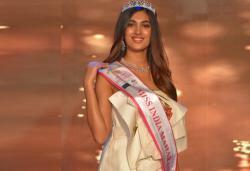 To add more to the shows appeal, Bollywood and South India Movie superstar Minakshi Dixit walked the ramp as show-stopper and took everyone by storm with her scintillating look and dance moves. Mona has earlier showcased her collections in various fashion shows like Lakme Fashion week, India Beach Fashion Show, Fiji resort fashion show, India Fashion Week Dubai and Miss India Pagent. Shroff has been designing for in-house labels of Selfridges (London) and Galleri Lafayette (Paris). She is also the vice president and COO of The World Indigenous Fashion Week (WIFW), and a council member representing India and Hong Kong. The show was followed by Karishma Jumani, who featured her collection at the French-European-Indian Fashion Week, 2016 in Paris, who showcased her latest resort wear collection of intimate wear ‘FAIRYTALE FLORAL’ under her label ‘La Lencería’. 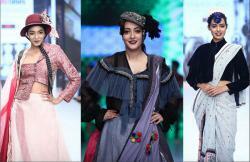 Her collection pairs unusual forms of fresh flora with subtle and elegant style at the India Intimate Fashion Week. Reflecting the ‘Sun’s out, bra’s out’ trend this season, the collection walks you through the untrodden pathway to a secret garden where flowers catch the sunlight through the thicket and sprightly sprigs stretch forth unabashed. Her new season lingerie wear blended with scene-stealing summer hand-painted bras, Formica hand embroidery and softly blossoming luxe lace. Bollywood star Manjari Fadnis walked the ramp as a show-stopper for Karishma, donning a beautiful collection designed by Karishma. "It was great opportunity that knocked our door and opened our windows to some great success and an amazing platform to be on, I enjoyed my association with IIFW and looking forward to many more shows in the future. 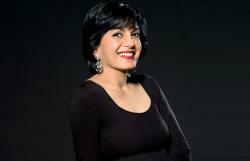 ", said Karishma Jumani. Triumph International India (Pvt) LTD, the leading makers of women’s inner wear in India, presented their exclusive line of high quality, fashionable and comfortable womens’ wear which turned out to be a major highlight of the show. Triumph displayed their Body Make-up Lace Collection, Magic wire collection, Beauty-full collection and many more during the show. The grand finale of the first edition of IIFW achieved great highs of oomph and allure with renowned designer Nidhi Mumnim’s inspiring swimwear, resortwear and sportswear collection. Her collection was inspired by strange beauty of the deep sea illustrating a dark and enigmatic mood to the line. Tropic inspired beach swimwear abd athleisure looks morph into sophisticated resortwear. Clamarous silhouettes have an elevated premium surf feel, with dark summer palettes uplifted by luminescent pinks and oranges. Her collection included a variety in terms of drapes, cover ups, colourblocks in print, crochets etc. Nidhi’s show was opened by famous Indian model and beauty queen from Odisha, Sushrii Shreya Mishraa. 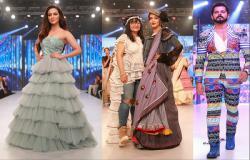 Bollywood actress and model Dipannita Sharma walked the ramp as a show-stopper. Providing high decibel entertainment at the glamorous event was the live performance of Se Re Ga Ma Pa fame Sandeep Batra which took the audience by storm.